The biggest announcement and biggest question mark is the new version of the iPhone. A new model is coming for sure, but we don't know what will be in it. Update: We knew that the new iPhone was coming already, but Walter Mossberg—who is well known for having a very tight relation with Apple—strongly suggested that the new hardware is a sure shot next week. He did it in his Palm Pre review, potentially offsetting the Pre's current advantages with unrevealed incoming features in the iPhone. The Financial Times, BGR, and Engadget also say their sources claim that $99 iPhones are on the pipeline. Most probably, the new Apple cell will keep its current design. Since Steve Jobs came to Apple, dramatic industrial design changes have only happened across various generations of gut changes. Historically, the iMac, the Powerbook/Macbook, or the Mac Pro went through several iterations before experiencing a complete redesign. It's too early for the iPhone to change its face dramatically, specially when the current form factor works so well. And, after all, there are only a few ways to do a touch-screen phone. The iPhone 3G's design is simple, elegant, and works extremely well, so there is no reason to see a big re-design now. WSJ Confirms New iPhone Hardware? 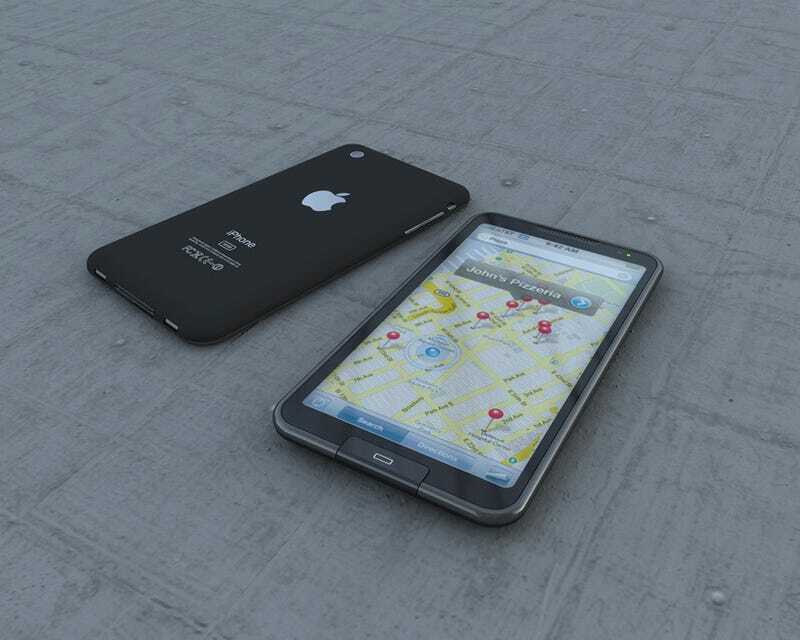 Other rumors point at something called "the unibody iPhone", which is a retarded notion at best. The iPhone is already "unibody." It may not be carved out of a single piece of aluminum, but there's no need for that. It is a single surface—which is made of plastic to make reception better—and a glass top. It doesn't get any simpler than that. Update: There may be sightly different components in the design, as shown in the pages of a Chinese original components wholesaler. Next-Generation iPhone 3G Parts Revealed by Chinese Wholesaler? Some people are talking about multiple color versions. With the iPod mini, nano, and shuffle, color became a way to convert the low-end hardware into fashion accessories. The iMac also went through that phase, which was later abandoned. The iPod, however, always stayed either white or black, becoming an icon on its own right. The iPhone is also a higher-end icon. Down the line—maybe in a different incarnation, as the iPhone OS product family expands—color will appear. But for now, looking at Apple's past history, logic dictates that the iPhone won't see the variety of colors that the iPod nano has now. Update: The new iPhone may also experience a change of materials, going from shiny to matte. Whatever minimal design changes come to the iPhone will be dictated by the new hardware. One of these changes will be an improved camera. I have no doubt that the iPhone will get this much needed upgrade. Just looking at the price range and features of other competing smartphones, a better camera is not only a technical- and economically-feasible option for Apple, it is a must have. They are seriously lagging behind in the photography and video departments, which will be perceived by consumers as a major flaw. Not only that, but Apple betting heavily on geotagging in their iLife'09 software suite begs for a quality upgrade in their one and only image-acquiring device. In Apple's closed ecosystem, the iPhone seems like a potential candidate to be the perfect machine to shoot and record your life on the go. Expect a better sensor, better lens, and autofocus. Another must-happen-or-else feature is video recording. This has been pointed out not only by rumors, but also by hints left in the Software Development Kit. More importantly, however, is that video recording is present every single cellphone out there. Apple can't afford not having video recording in the iPhone for an entire year. Not when an army of Android phones with this capability is going to be launching in 2009 and 2010. Update: We can say—with 99% certainty—that the new iPhone will have a magnetometer and camera autofocus, according to the screenshots that show these components in action. These new features can only be enabled in the iPhone OS 3.0 software by using the actual hardware—the current iPhone camera can't do autofocus and it doesn't have a magnetometer. The images—which confirm previous sightings—also confirm that the new iPhone will also have video recording. Update: There also has been some speculation about a front-facing videochat camera, but given AT&T current bandwidth problems, I doubt it, but I hope that this one is true. Maybe the 20Mbps AT&T 3G network will finally materialize for this. Speed and memory will be the other two pilars for the new next-generation iPhone. Both are logical, specially the increase in storage capacity and RAM for applications. As the iPhone OS market booms, bigger, more powerful applications and games will come in. Increased RAM will be a must for these apps. The increase in storage—specially as video recording becomes an official feature and the megapixel count increases for photography—is also a given. A faster processor will also happen. Speed is often cited as the most important of iPhone's problems. Not because the current competition is faster—which it isn't—but because people want to access their applications instantly, not to talk about typing without any bloody delays when background tasks kick in. Faster chips—both the CPU and the multimedia processor—will make the next-generation iPhone fly. Not only that: They will be needed to guarantee more powerful applications, needed to support Apple's push on the gaming front and the new video capabilities. Don't expect any magic hardware features, however—like OLED screen or backlit Apple logos—which just seem the type of thing that random people pull out of nowhere—and with "nowhere" I really mean "their asses." I always have had high hopes for the fabled Apple tablet. Heck, I've had actual dreams about this thing for years, since I got my first Newton Message Pad. Now, the technology is right to do it but maybe not at the price point that it needs to be successful. An Apple tablet will basically be a bigger iPhone that will serve as a casual and cheap computing device, confronting the netbook market with a nimbler, less cramped, and not-fugly device. Since we are consuming information most of the time, an iPhone OS-based tablet is something that could work better than netbooks—in fact, it seems that even works better for typing—bringing us closer to a new generation of devices that are less cumbersome than desktop-metaphor-oriented computers. Unfortunately, Star Trek: The Next Generation's tablets will probably not come this year, even while WWDC may be the last step before the launch. At WWDC, Apple will be laying down the software foundations for this device—things like resolution-independent applications that can adapt to different screen sizes, and true multitasking that would allow you to run several applications and widgets concurrently. So even while Digitimes and the usual wacky sources keep talking about the 10-inch screen deals between Apple and Wintek, I'm pessimistic about the tablet coming in San Jose. That said, I really hope it finally appears. Even if it is just a pre-announcement—like Apple did with the original iPhone. That way developers will start coding for the new form factor as soon as possible. There are other rumors about hardware and software. The latter area will obviously be dominated by Snow Leopard, the next big release of the Mac OS X operating system. Snow Leopard may show its new face at WWDC. In a World Wide Developers Conference, it will be the star, only eclipsed by iPhone OS. Apple&apos;s OS X Snow Leopard Operating System Getting a Darker "Marble" User Interface? As for hardware, rumormongers are talking about new MacBooks with 3G capabilities built-in. Update: We have received some photos showing updates for a new MacBook Pro Summer 2009 Unibody, with a flash memory card slot built-in. However, these are from an unconfirmed source. There are also rumors about ypdates to the Apple Cinema Displays—moving everything to LED backlighting—and the iPod touch—which also needs to be updated, probably reaching the 64GB mark in the same way the iPhone will be doubling its capacity (the iPhone has one NAND RAM chip inside for two in the iPod touch). Just with the new iPhone, an updated iPod touch, and Snow Leopard, WWDC 09 will be a solid show. One that everyone interested in these technologies should be excited about. But the thing I'm really hoping for is not hardware or software. I wish that, at the end of his presentation, Phil Schiller will pronounce the magic words, the classic "one more thing," and Steve Jobs would appear on stage, smiling and visibly recovered from his lastest health woes. That, more than anything else, would be amazingly good news for the tech world. Update: Reportedly, Steve Jobs has been seen walking healthy through the Cupertino campus. Yesterday, the WSJ is claiming that he may be join the Apple fest next monday. We can only hope.